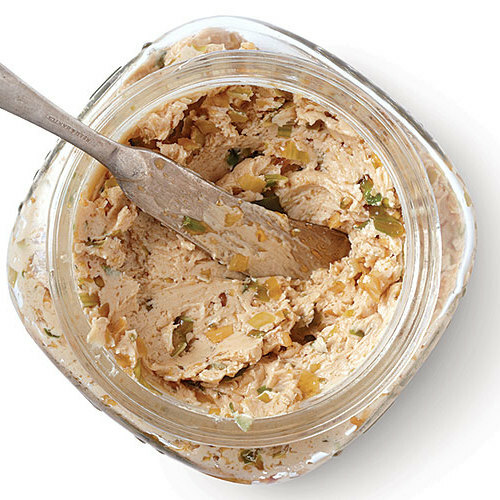 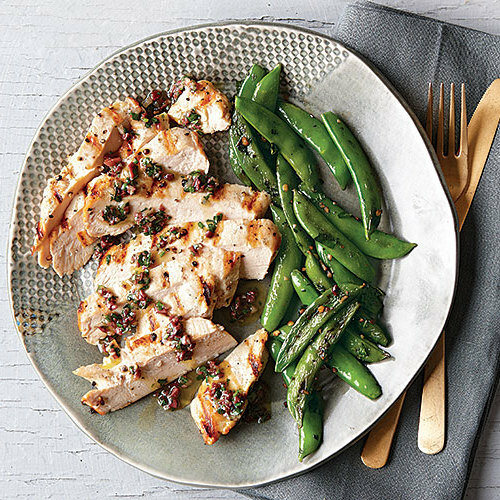 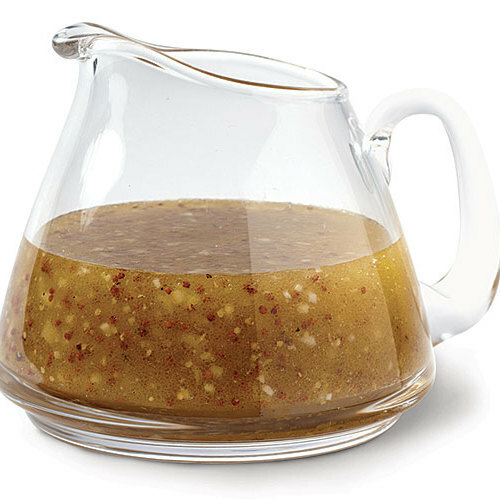 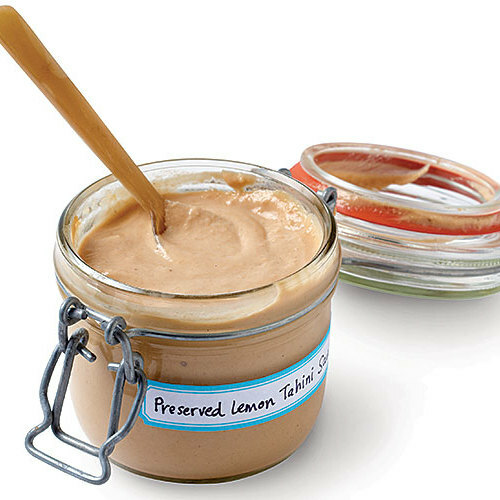 A Kalamata olive vinaigrette makes a quick and simple yet flavor-packed sauce for chicken (or fish or lamb). 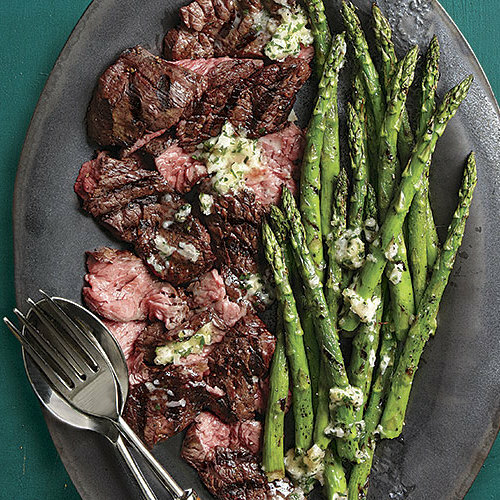 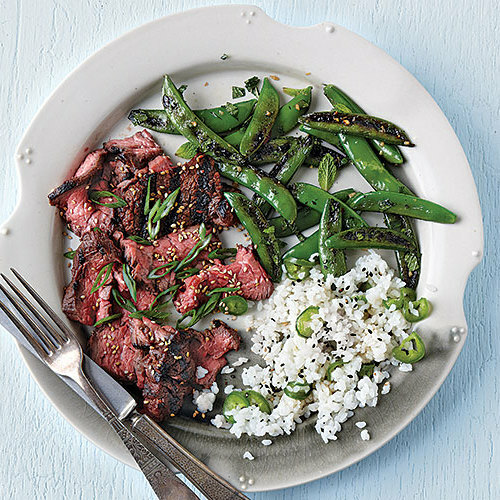 Try serving it with Blackened Sugar Snap Peas with Garlic and Mint. 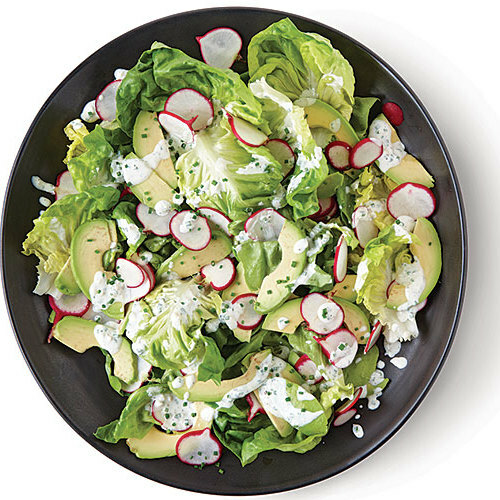 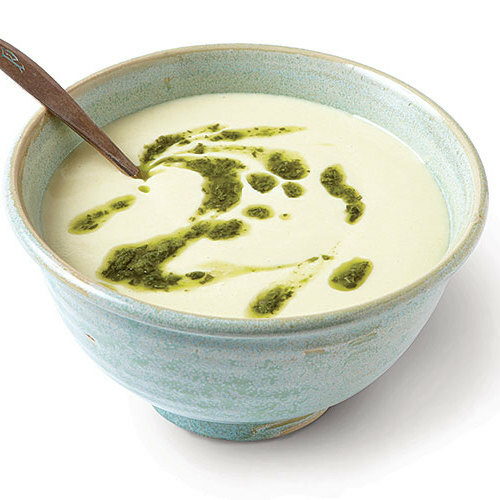 This creamy homemade dressing is better than any bottled ranch. 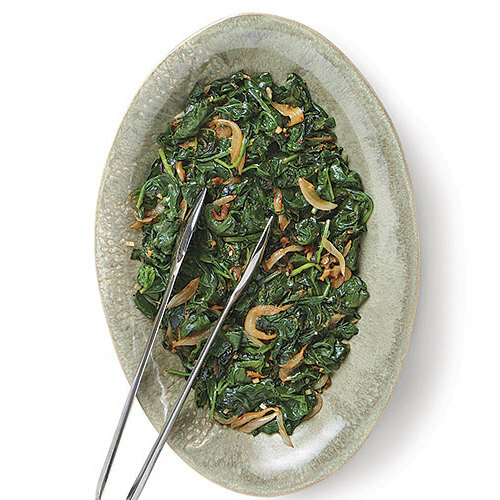 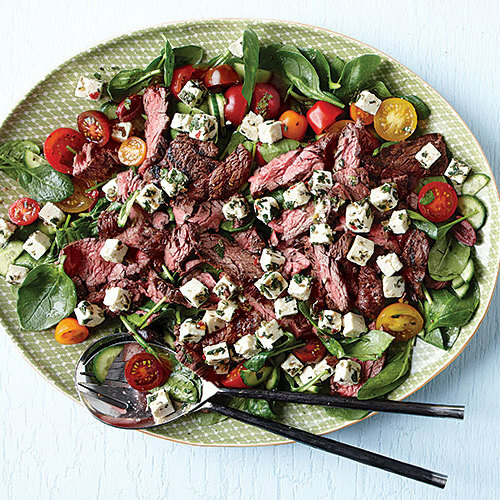 Show it off on this simple green salad and serve with barbecued ribs, chicken, or pulled pork. 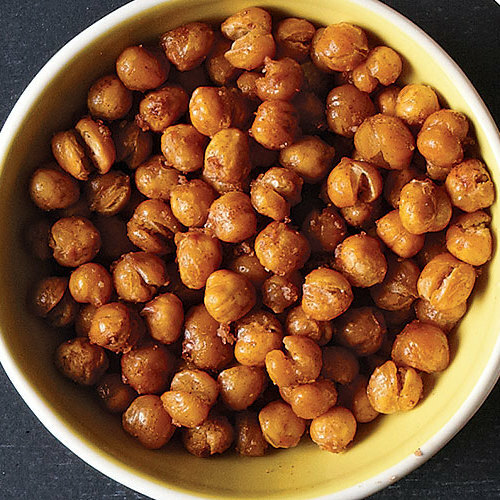 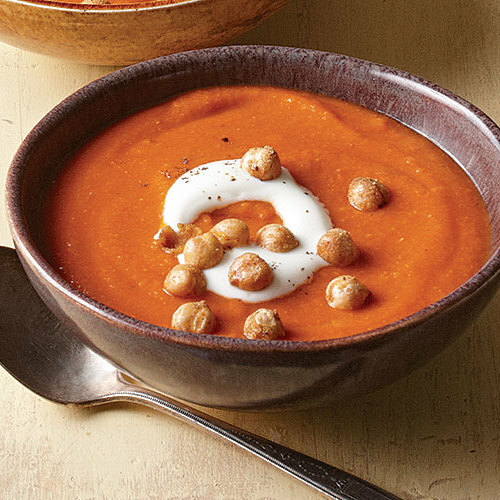 A great snack on their own, roasted chickpeas also can add crunch to a salad or soup. 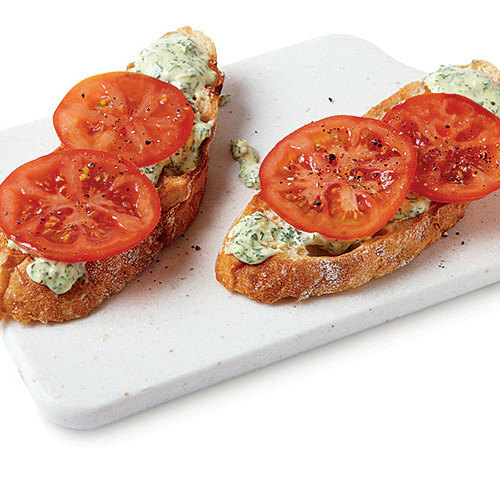 They don’t stay as crisp once cooled, so they’re best eaten warm. 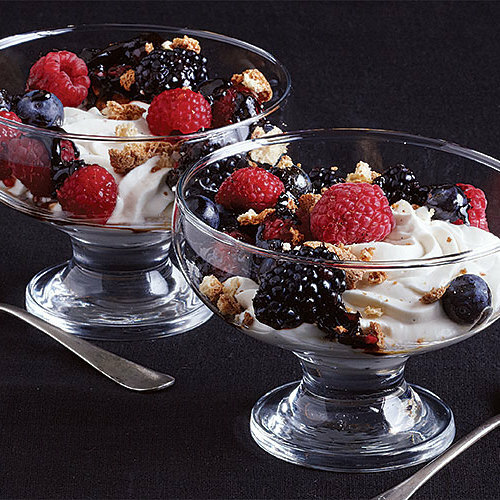 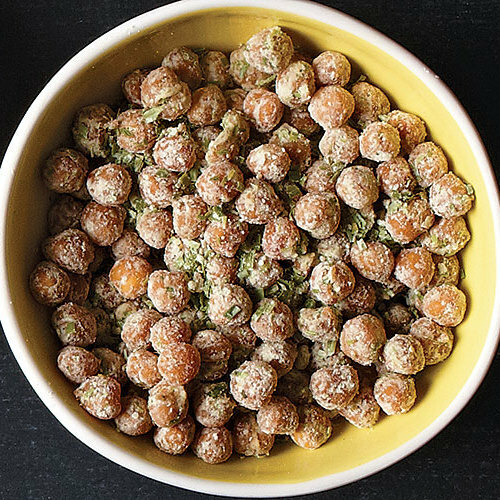 Looking for a sweet but healthy snack? 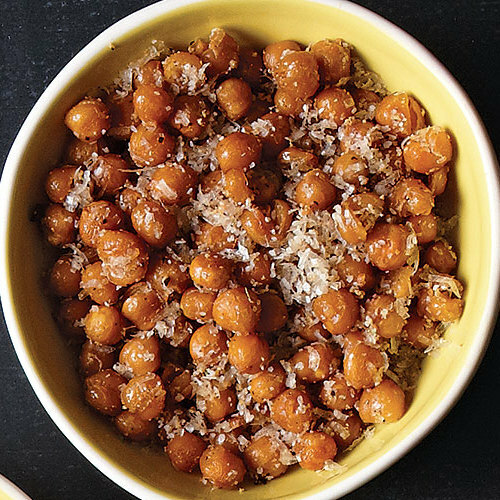 These crunchy chickpeas fit the bill. 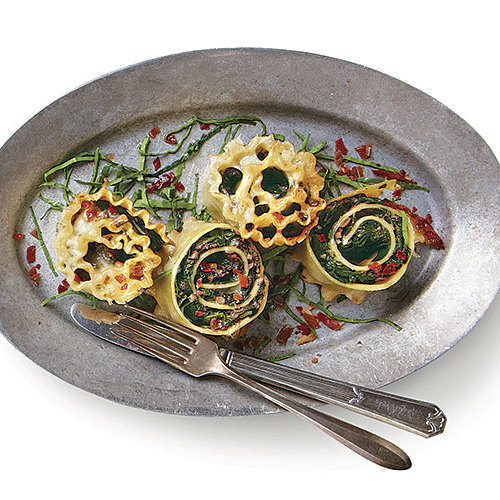 They don’t stay as crisp once cooled, so they’re best eaten warm. 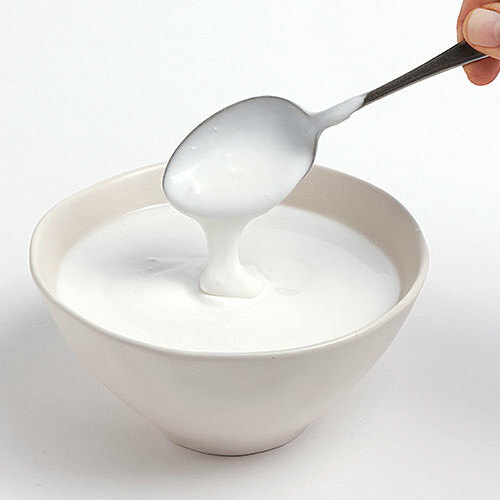 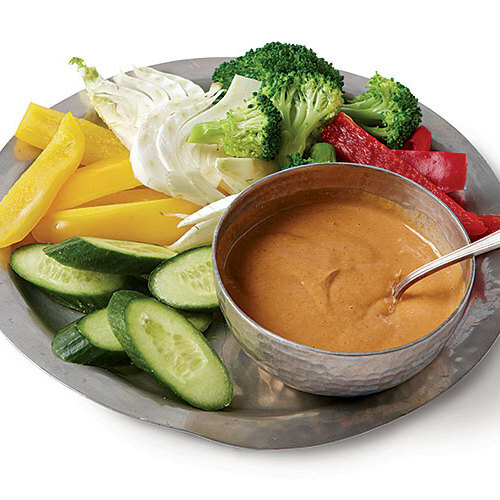 Satisfy your craving for chips and ranch dip with this healthy alternative. 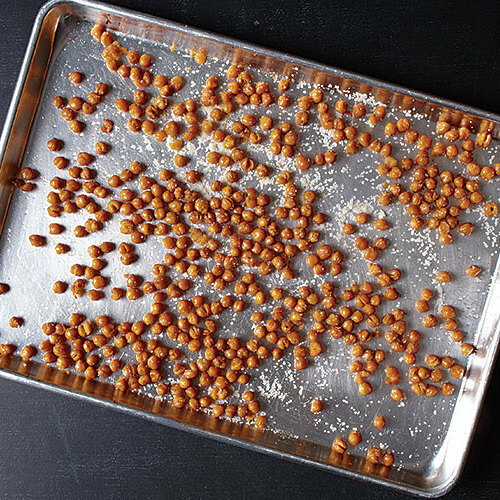 The roasted chickpeas don’t stay as crisp once cooled, so they’re best eaten warm. 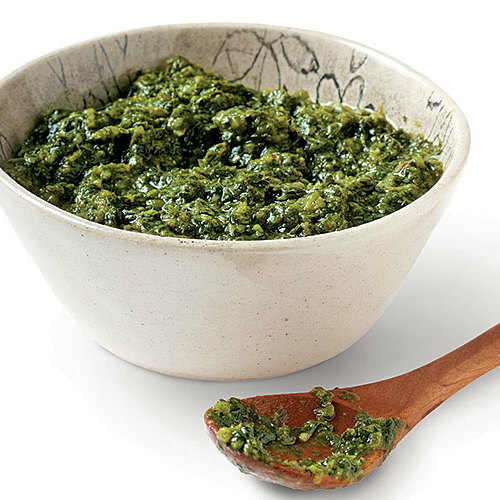 Nutmeg is a classic seasoning for spinach. 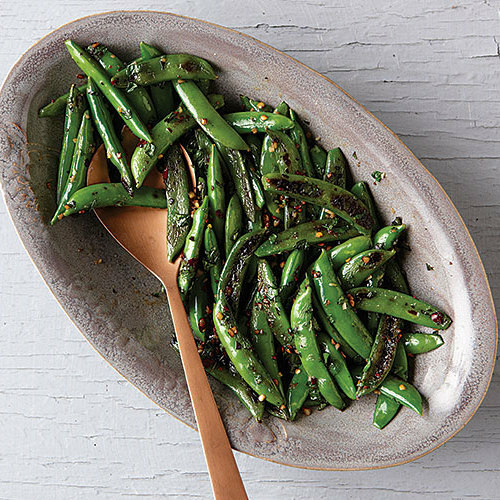 In this quick side dish, its aroma blossoms in brown butter, while lemon, ginger, and garlic round out the flavor. 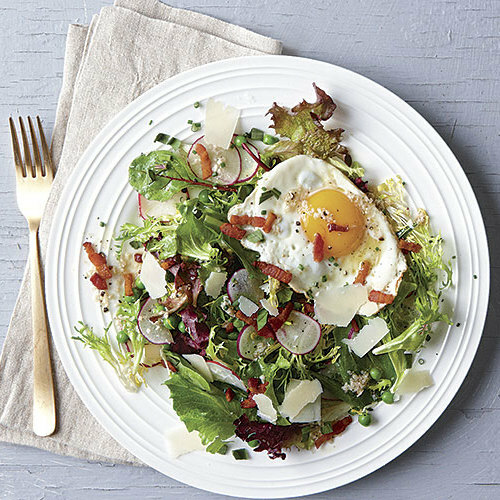 Bacon and eggs turn a green salad into a substantial, comforting, and tasty meal, while peas and tarragon contribute bright, fresh seasonal flavors. 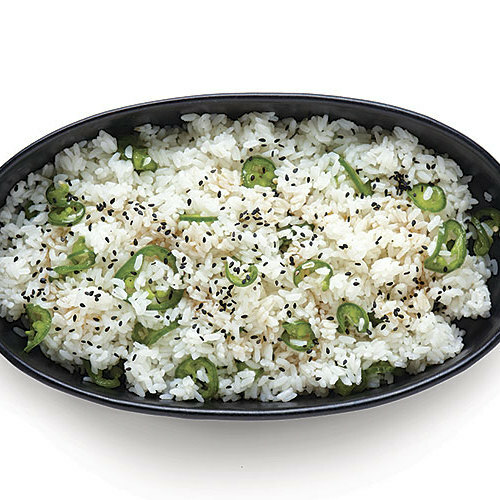 Sliced chiles pickle in a mixture of vinegar, salt, and sugar in the time it takes to cook a pot of rice. 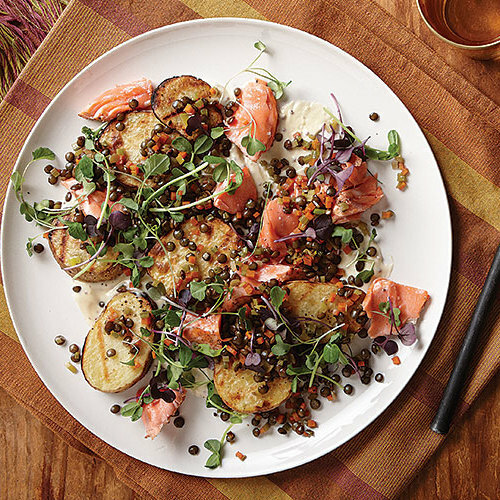 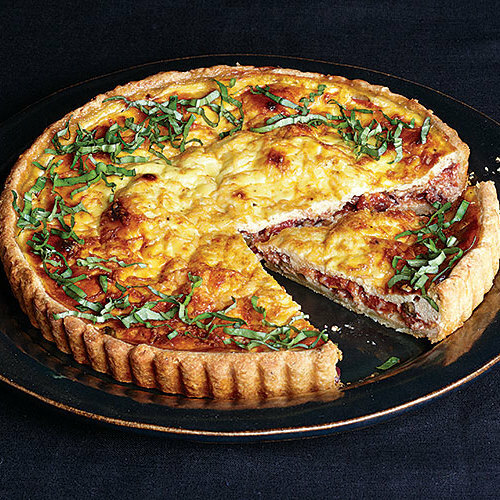 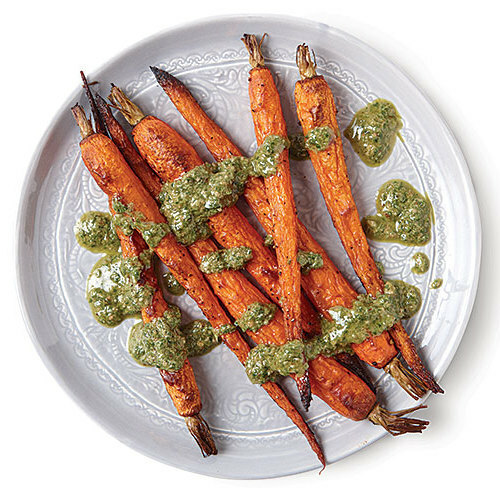 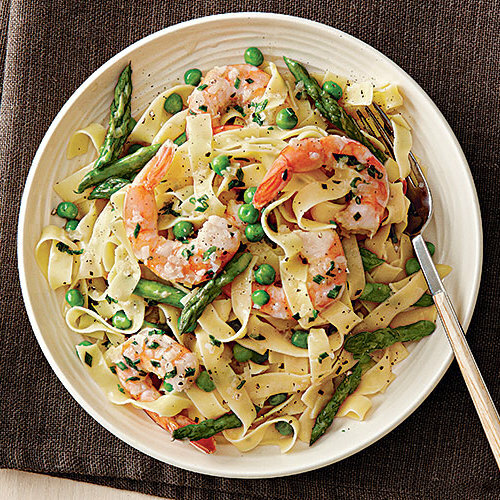 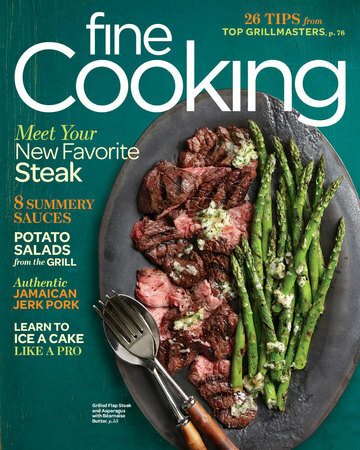 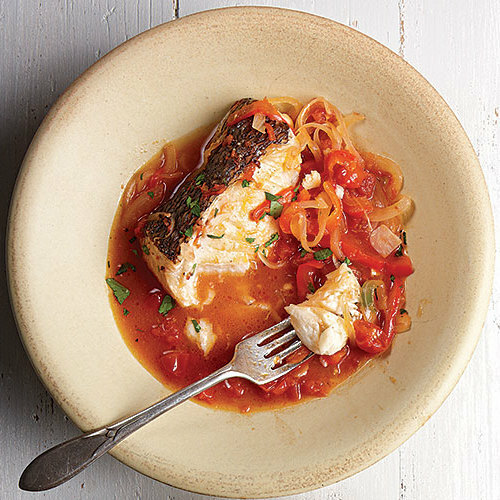 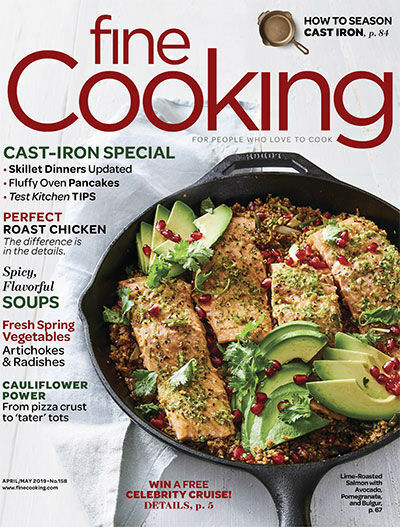 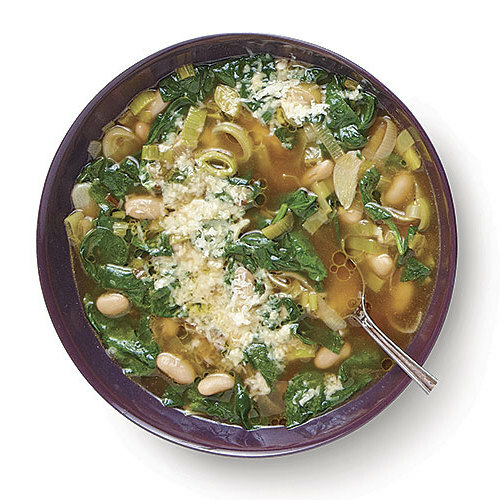 Serve with grilled salmon or shrimp. 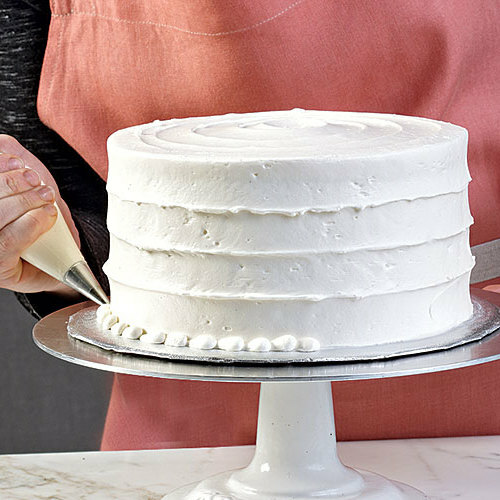 Billowy and not too sweet, this may become your new favorite frosting. 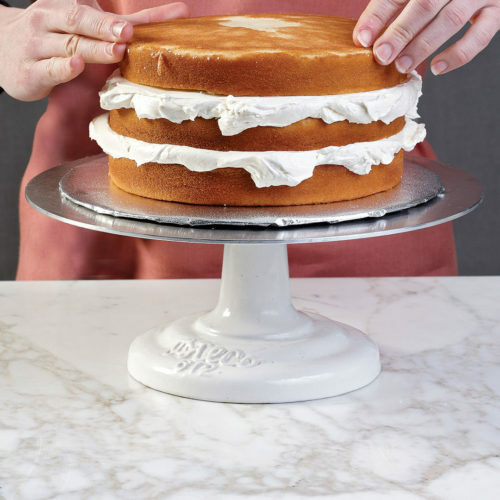 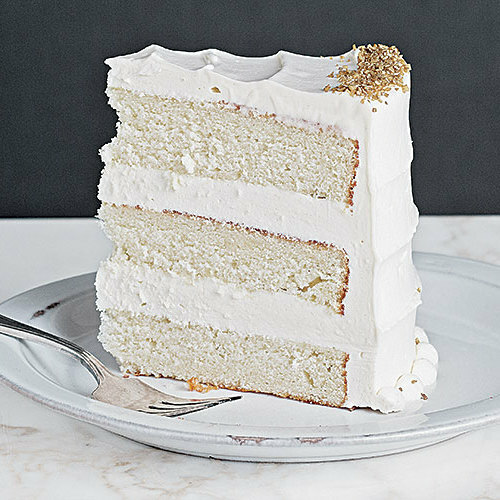 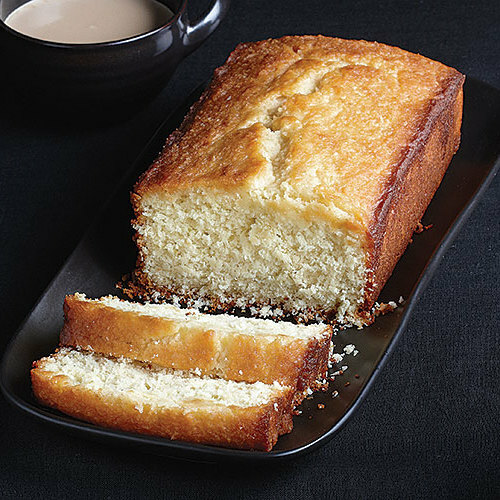 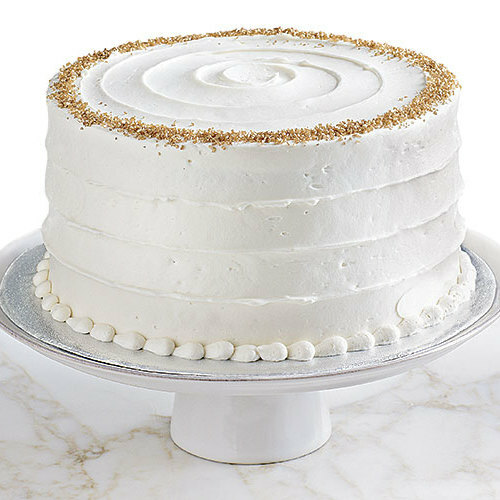 Pair it with the Very Vanilla Layer Cake or your favorite layer cake. 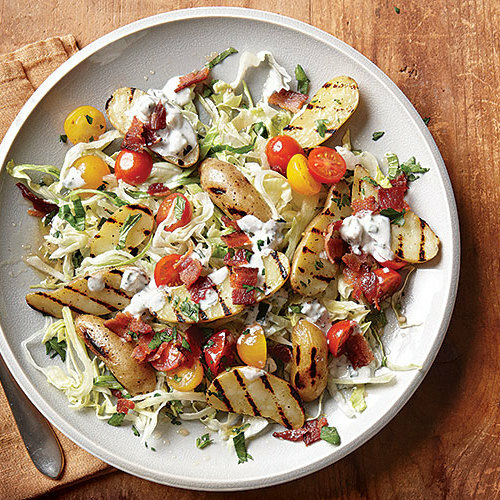 Hold the mayo. 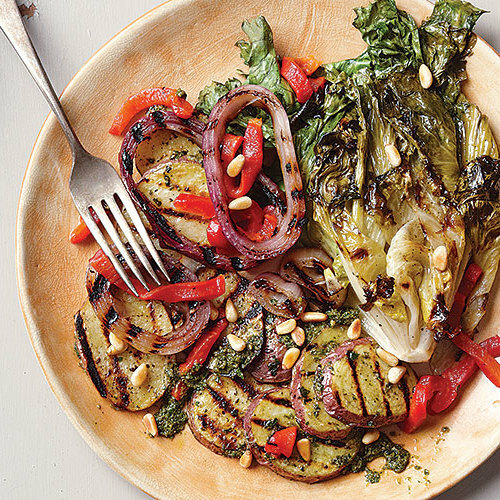 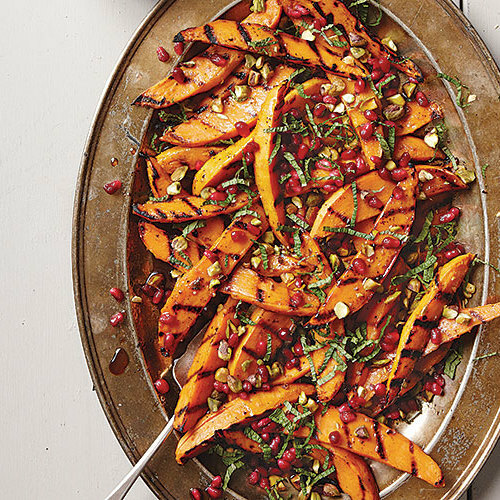 These grilled potato salads are filled with everything but. 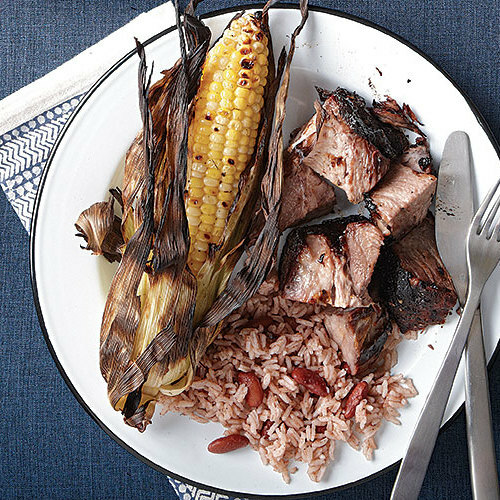 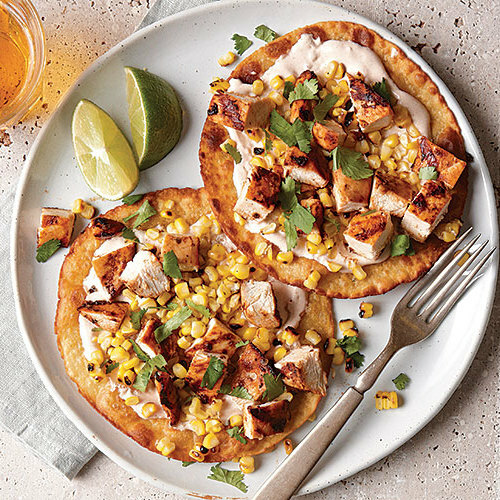 Learn to make this slow-smoked Caribbean classic. 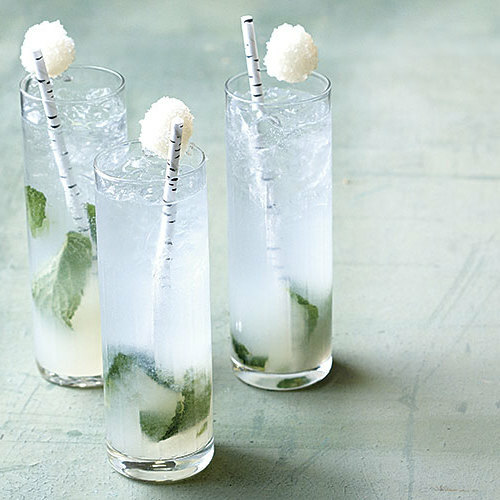 Never mind the name. 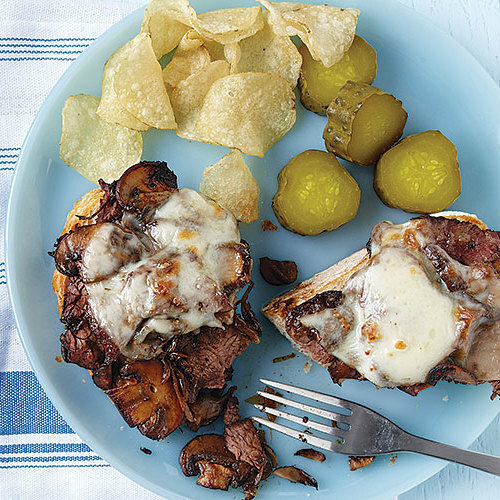 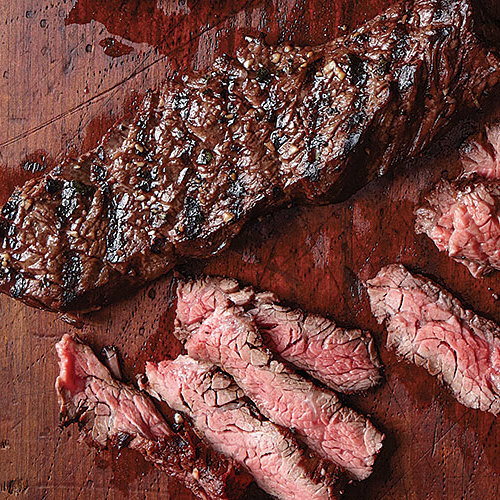 Flap meat is tender, versatile, and relatively inexpensive. 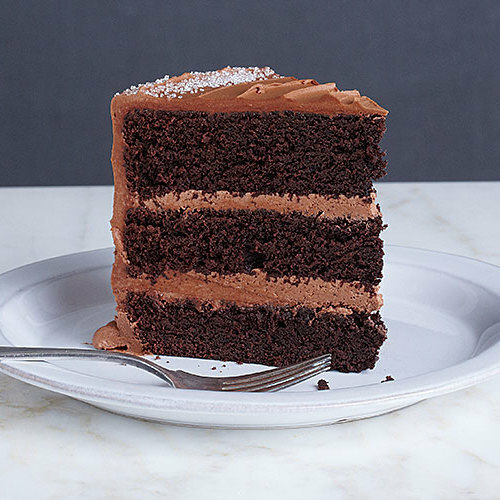 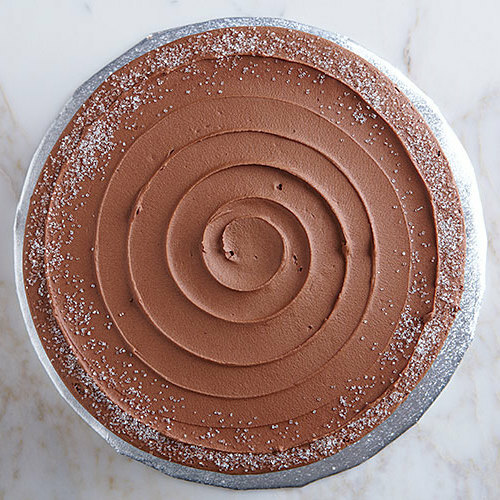 At Baked in New York City, the cakes look modern and pretty. 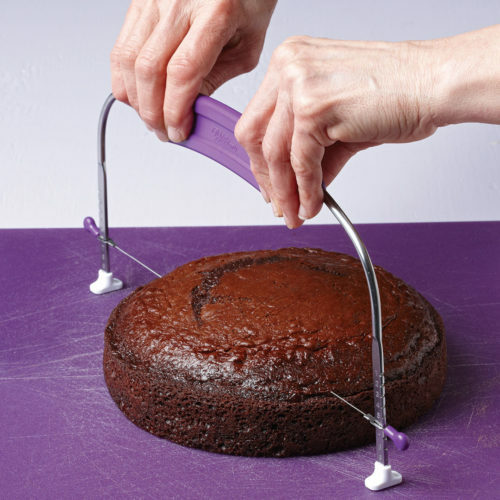 Here’s how they do it. 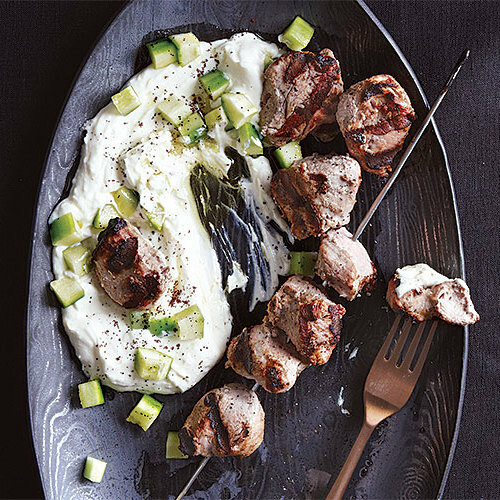 It’s easy, requires no special equipment, and is delicious in all kinds of dishes from kebabs to cake.